Here is an Incredible film you have made on a maddening subject. I cannot reblog it but the link is http://celestialelfdanceoflife.blogspot.com/2015/03/reactor-no4.html and i am embedding the YT video below. I live within 30 miles of Three Mile Island in Pennsylvania USA and when that almost melted down many people including my family fled north upwind. I worked in the hospital so felt the responsibility to remain in the area. Luckily it did not explode and melt down but we dodged a bullet for sure. I still ring a Shinto bell once a week to the victims of Fukashima., a disaster much worse than the government will admit. There is this Big fusion reactor that heats the whole earth called the Sun and it is only because you can’t put a meter on it that the powers that be do not pursue solar technology more aggressively. Hopefully in my lifetime i will see major changes, but that depends on we the voters who supposedly set policy in this country. My friend JJ from the deep South sent me this horror story, which as my title says may be true or a passed on enhanced with each re-telling “urban legend” or rather in this Appalachian Mountains setting a “rural legend”. I think this may be a Wendigo which is something here Not to be f__cked around with as its appearance is equal to the American Sasquatch and Very Primal. The link to the full story is there at http://fyeahcreepyshit.tumblr.com/post/59547567314/anasis-goatman-story . Enjoy your spring time jaunts into the woods ! I was chilling at the Red Lodge last night when for about 2 hours something came knocking at the door, knock knock. I thought it was the wet snow now melting falling from the trees but it was always in twos, the number of the Devil, knock knock. Even a friend on the phone could hear it though my bluetooth through my knit cap, knock knock. The first time i thought it was my neighbor so i went to the door, but maybe it wasn’t him, so my Glock 42 was cocked with a round in the chamber, but no one was there. 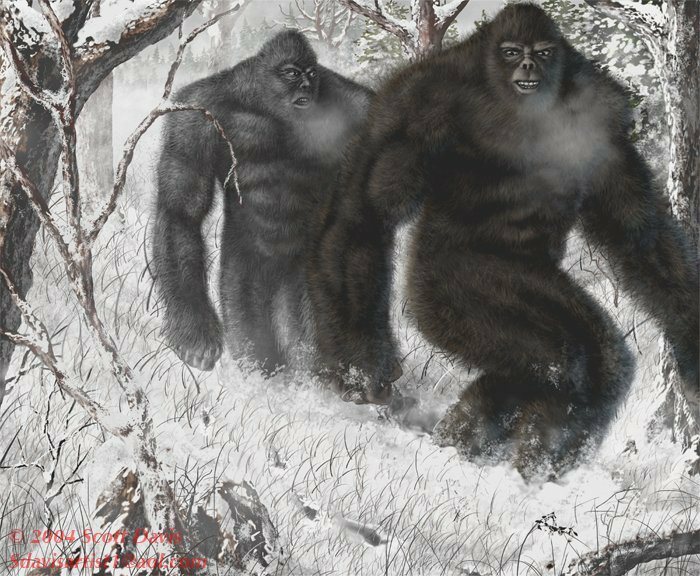 Then i thought maybe it was a human intelligent discarnate spirit of the AmerIndian spirits that come down from the mountain, or maybe a Sasquatch, knock knock. Them i thought maybe it was Doktor Santee, who is always standing behind me of late, knock knock. Then i thought it was my dead dad come back for his things, knock knock. Then JJ called and even he could hear it and started to tell me his own phenomenon like when he received a PDF of photos of Dutch Jeff’s Necronomicon that his old York Coven has used since the 1960s for “burning”, knock knock. Something wanted in, and it did not feel bad or evil or threatening, just persistent, knock knock. So i bravely put on all my winter gear, army coat, hat, gloves, gun strapped on an out of the coat belt, long knife and went out and burned sage and spruce at the snow covered outside altar, knock knock. i meant to walk completely around the property with a flashlight looking for hooven or human or mountain lion tracks, but a strong cold wind came up out of nowhere so i was driven to walk back to my house, knock knock. Who knows what he/she/it was? One the way home i hit my hand with a scab on it and started to bleed. When i got to my house and altars i fed the blood to my wrathful deities, then took a nice long hot bath, drank some wine, and chilled for sure again. 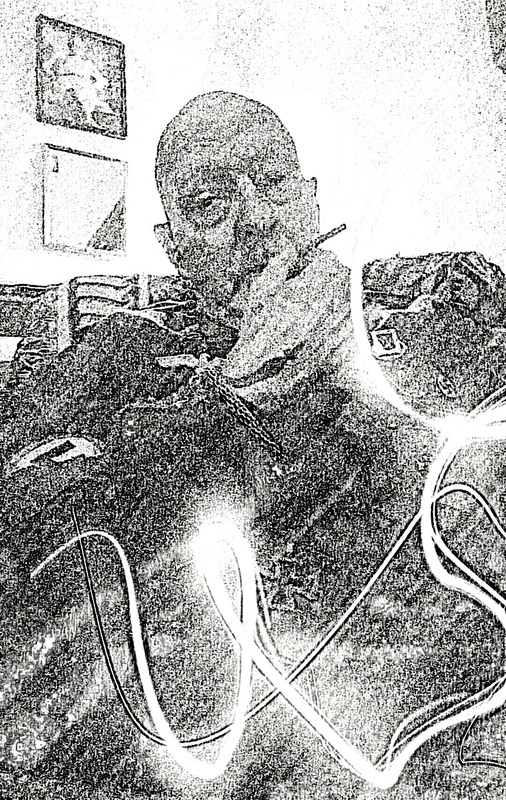 Strange Experience, as Lee Gandee would say…. Yea looks like Blair Witch Project, i know. After these videos Lee Shawnus was never seen again. Signed. 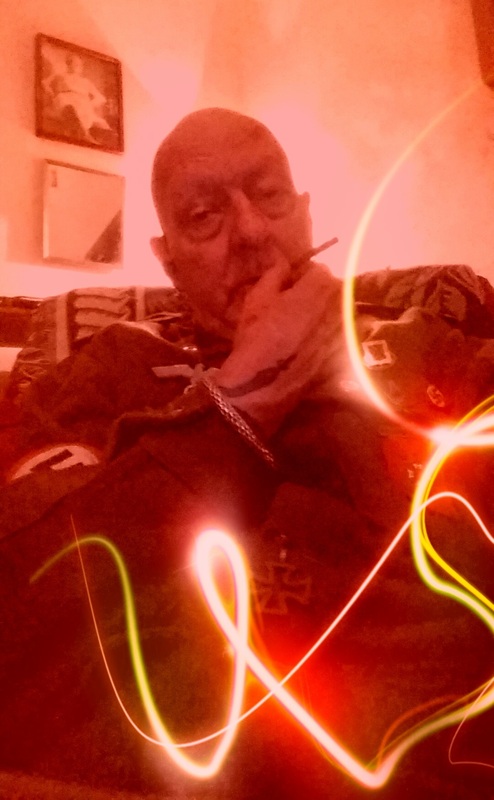 and dated 25 January 2015 by his Biographer H.P.Loveless…. Wow what a prose/poem to wake up to! It sounds like a demonic shell of one of the Qlipphothe. Good writing and artwork from the both of you. Reblogging so TY. i am reblogging my own blog post linking the videos of the Hogfather series which is a dark yet funny whimsical yet serious portrayal of the roots of Santa Claus in the pagan world, newly told in these videos. I am re-watching them now so watch them with me and enjoy! I first found out about The Hogfather series of four videos based on the books by Terry Pratchett on the Experimental Pagan blog and finally got to watch all of them (total 4 part running time around 4+ hours) and I Loved them! These are of British production with Brit actors and are pre-HarryPotter so they are a little darker but are still for children and adults. People are killed in these movies, but not in a gory way. I personally never clicked with the Harry Potter movies thinking them a little too politically correct and for an American audience where “our children must be protected” from realism within magical stories, even though it is OK for American kids to watch live CNN broadcasts of mass shootings at schools. Go figure. Yes i know the pic showing on this video looks sexual, but the video is not like that. It is a music video which i think you enjoy. Paul writes such lovely and somewhat disturbing stories of he and his companions travels to various stone circles in the North of the UK. I envy his closeness to these stone! Enjoy! There are many routes to get here, but this is the one I usually take. 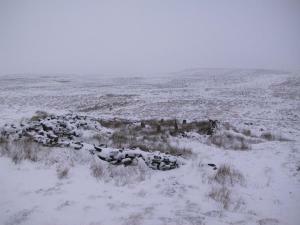 From Cow & Calf Rocks, walk up the steep hillside onto the first moorland plain, taking the path right, diagonally, across to the NW as if you’re heading to the Map Stone. From here, looking down at the stream valley below, follow the valley edge up, past the settlement, and then veer down to Backstone Beck and up on the other side till you meet with a footpath and also up in the heather ahead of you, notice the jumbled walling les than 100 yards away. That’s where you need to be! Awesome creepy poetic story – the return revenge of the rusty metal goblins, mining then putting together their own dark ghostly elven train. Here in the Appalachians we have lots of abandoned mines and RR lines, but the ones in the city are probably more dangerous from the criminal types who inhabit them. I fear men more than goblins, LOL. Worthy of a reblog so TY for your bardic modern interpretations of this post-modern age. A not so lovely short video from The Haunted Palace of a widdershins spin into the realm of the not so benign fey. Enjoy, or not….. 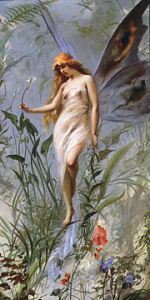 The Victorian ideal of a fairy as scantily clad nymphet, still a popular image for the fae today. Luis Ricardo Falero 1888. Just a short post this week…having managed to put my back out doing DIY I don’t know if I want to stand up, lie down or pace around because doing anything is just toooooo painful :0( Anyway, enough of this moaning – on with the post. 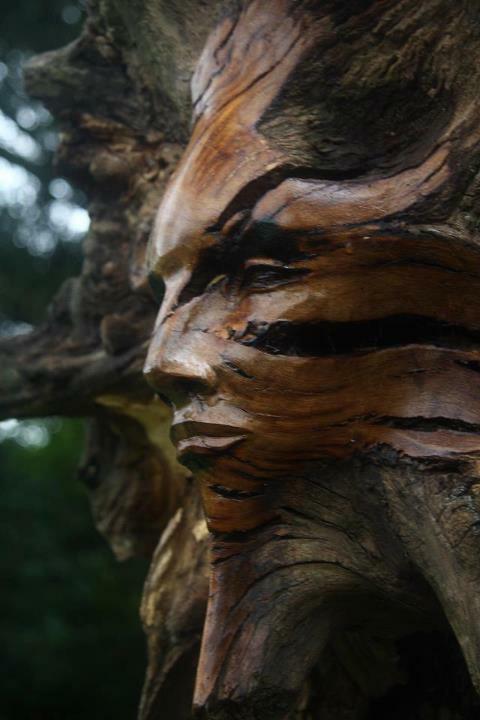 In a desperate attempt to take my mind of my back I re-watched a fabulous short film about faeries on You Tube. I recall first coming across this particularly dark tale of the little folk on the excellent Angry Scholar Blog (but I can’t find the link to the actual post itself). With her head tucked underneath her arm…..
My comment – Yes the royal dead are so, well royal, you know, nothing like blood on lace. There was a PBS series i cannot find now on the four Queens of England who did not quite keep in their place, nor did most of their heads so to speak. Poinient poem she penned there. Worthy of a reblog and a toast to you and the retelling of their stories. Canoodling huh, learned a new word there, lol. 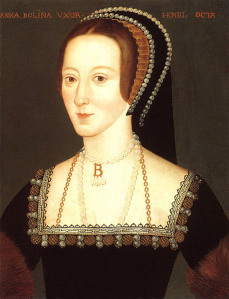 Anne Boleyn, this is possibly the most famous image of Anne, and most likely closest likeness, however no contemporary images of Anne survive (this image dates from the late 16th century). Image: National Portrait Gallery. When I’m Gone, Just Carry On…….